1.1 Access to the Site is permitted anytime for browsing by a user on a temporary basis, and RØDE reserves the right to withdraw or amend the information and services it provides on our Site without notice. RØDE will not be liable to any party if for any reason our Site is unavailable at any time or for any period. 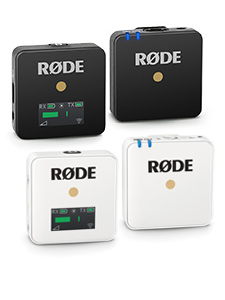 1.2 From time to time, RØDE may provide differing levels of secure access to different categories of users, and/or RØDE may restrict access to some parts of the Site, or to the entire Site, to users who have registered with RØDE. To access these parts, the Site contains provisions for users to enter their details and become registered users of our Site. The details required by RØDE in this regard will be specified by RØDE, and shall be provided in full as specified on the Site. 2.1 You may use the information, writings, images, videos and/or other works that you see, hear or otherwise experience on the Site (singly or collectively, the "Content") solely for your lawful, non-commercial, personal purposes and/or to learn about RØDE products. 2.4 You agree not to access without authority, interfere with, damage or disrupt any part of our Site, any equipment or network on which our Site is stored, any software used in the provision of our Site, and/or any equipment or network or software owned or used by any third party. 2.5 You agree not to take any action that might compromise the security of our Site, render our Site inaccessible to others or otherwise cause damage to our Site or the Content. 2.6 You agree not to add to, subtract from, or otherwise modify the Content, or to attempt to access any Content that is not intended for you. 2.7 You agree not to use our Site in any manner that might interfere with the rights of third parties. 3.1 If you register your details on any component of the RØDE website, for the purposes of gaining access to the specific restricted services on the site available to registered users of the site, and you choose or are provided with a user identification and/or a password, you are responsible for maintaining the confidentiality of your registered user identification and password information. You must treat such information as confidential, and you must not disclose it to any third party. You agree to accept responsibility for all activities that occur under your user identification and password. (g) Disclosure of such information to law enforcement authorities as we reasonably feel is necessary. 5.1 This Site and the Content belong to RØDE or its partners, affiliates, contributors or third parties, and the copyright in the Content is owned by RØDE or other copyright owners who have authorised or licensed their use on this Site to RØDE. 5.2 The copyright in the Content is protected by the copyright laws of Australia, and the copyright laws and treaties applicable around the world. RØDE reserves all of its rights in this regard. 5.3 No right, title or interest in any of the Content is transferred to you, whether as a result of downloading such Content or otherwise and RØDE retains complete title and full intellectual property rights in all Content at all times. 5.4 Except as expressly authorised by this Agreement, you may not download, use, alter, copy, distribute, transmit, or derive another work from the Content obtained from the Site, except as expressly permitted below. 5.5 You may download and reprint any part of the Content for non-commercial, non-public, personal use only. Our status, and that of any identified contributors or licensors, as the authors of the Content must be acknowledged at all times. 5.6 In circumstances where you are browsing our Site as an employee or member of any company, business or organization, you may download and reprint any part of the Content only for educational or other non-commercial purposes within your company, business or organization. You must not use any part of the Content for commercial purposes without obtaining a licence to do so from RØDE or our licensors. 5.7 You must not manipulate or alter in any way the images or other Content on this Site in any way, and you must not use any illustrations, photographs, video or audio sequences or any graphics separately from any accompanying text. 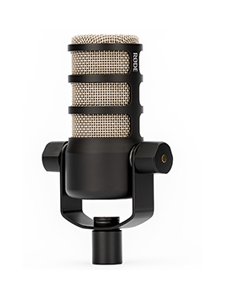 6.1 RØDE is a registered trademark of RØDE Microphones/Freedman Electronics. 6.2 You are prohibited from using any of the marks or logos appearing throughout the Site without permission from RØDE or the trademark owner, except as permitted by applicable law. (c) attack our Site via a denial-of-service attack or a distributed denial-of service attack. 7.2 By breaching this provision, you would commit a criminal offence and we will report any such breach to the relevant law enforcement authorities and we will co-operate with those authorities by disclosing your identity to them. In the event of such a breach, your right to use our Site will cease immediately. 7.3 In any event, RØDE cannot and does not guarantee or warrant that any files or any part of the Content available for downloading through the Site will be free of infection by software viruses or other harmful computer code, files or programs. 7.4 RØDE makes every effort to ensure that all files and the Content available for downloading through the Site is free of infection by software viruses or other harmful computer code, files or programs. 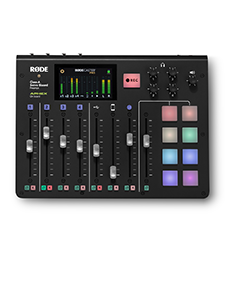 RØDE shall not be liable for any damage caused to a user’s computer equipment and/or software from infection by software viruses or other harmful computer code, files or programs. 8.1 Links on the Site to third party web sites or information are provided solely as a convenience to you, and if you use these links, you will leave the Site. 9.1 If you would like to link to our Site, you must follow RØDE's link guidelines, which can be provided to you on request. 9.2 Unless specifically authorised by RØDE, you may not mirror or frame the home page or any other pages of this Site on any other web site or web page. 10.1 You agree that you are personally responsible for your behaviour on the Site. 10.2 You agree to indemnify, defend and hold harmless RØDE, its parent companies, subsidiaries, affiliated companies, joint venturers, business partners, licensors, employees, agents, and any third-party information providers to the Site from and against all claims, losses, expenses, damages and costs (including, but not limited to, direct, incidental, consequential, exemplary and indirect damages), and reasonable legal fees, resulting from or arising out of your use, misuse, or inability to use our Site, or the Content, or any violation by you of this Agreement. 11.1 RØDE or any of its employees will not accept or consider unsolicited ideas, including ideas for new advertising campaigns, marketing strategies, new or improved products, technologies, services, processes, materials, or new product names. 11.2 This policy is necessary in order to avoid misunderstandings should RØDE's business activities bear coincidental similarities with any unsolicited idea offered. 11.3 If, in spite of our request that you not send us your ideas, you still send them, then regardless of what your posting, email, letter, or other transmission may say: (1) your idea will automatically become the property of RØDE, without any compensation to you; (2) RØDE will have no obligation to return your idea to you or respond to you in any way; (3) RØDE will have no obligation to keep your idea confidential; and (4) RØDE may use your idea for any purpose whatsoever, including giving your idea to others. 11.4 RØDE does welcome feedback regarding many areas of RØDE's existing businesses that will help satisfy customer's needs, and feedback can be provided through the many listed contact areas on the Site. Any feedback you provide shall be deemed a Submission under the terms in the User Supplied Information section herein. 12.1 RØDE does not seek, nor want to receive confidential or proprietary information from you via the Site. 12.2 You agree that any material, details, material, information, or data you do upload, transmit or otherwise post to the Site (each a "Submission or collectively "Submissions") will be considered non-confidential and non-proprietary. 12.3 All Submissions to the Site must comply with the content standards set out in this clause apply to any and all material which you contribute to our Site. (d) Comply with applicable law in Australia in the country from which they are posted. (m) Advocate, promote or assist any unlawful act such as (by way of example only) copyright infringement or computer misuse. 12.6 RØDE shall have the right to disclose your identity to any third party who is claiming that any material posted or uploaded by you to the Site constitutes a violation of their intellectual property rights, or of their right to privacy. 12.7 By making Submissions, you give RØDE the royalty-free, irrevocable, perpetual, worldwide right to use, distribute, display and create derivative works from the Submission, in any and all media, in any manner, in whole or in part, without any restriction or responsibilities to you. 12.8 RØDE shall not be responsible, or liable to any third party, for the content or accuracy of any materials posted by you or any other user of the Site. 12.9 RØDE shall have the right to remove any material or posting you make on the Site if, in RØDE’s opinion, such material does not comply with the standards set out herein. 13.1 The Site contains provisions for users to register their details as registered users of the Site, which shall automatically entitle the registered user to receive mailings and newsletters, by email or otherwise, from RØDE from time to time. 13.2 The mailings and newsletters of RØDE may contain promotions and offers available exclusively to registered users who receive the mailings and newsletters, and registered users shall automatically receive the benefit of such promotions and offers. 13.3 A registered user shall be entitled to opt-out of receiving the mailings or newsletters, and provisions in this regard shall be available on the Site. Where a registered user opts out of receiving mailings and newsletters, then that registered user shall not be entitled to receive the benefit of any promotions or offers contained in the mailings or newsletters. 14.1 The material displayed on the Site, and any electronic mailings or newsletters, is provided without any guarantees, conditions or warranties as to its accuracy. 14.2 To the extent permitted by law, RØDE, other members of our group of companies and third parties connected to us hereby expressly exclude: (1) all conditions, warranties and other terms which might otherwise be implied by statute, common law or the law of equity; (2) any liability for any direct, indirect or consequential loss or damage incurred by any user in connection with our site or in connection with the use, inability to use, or results of the use of our site, any websites linked to it and any materials posted on it, including: loss of income or revenue; loss of business; loss of profits or contracts; loss of anticipated savings; loss of data; loss of goodwill; wasted management or office time; and whether caused by tort (including negligence), breach of contract or otherwise, even if foreseeable. 14.3 This does not affect our liability for death or personal injury arising from our negligence, nor our liability for fraudulent misrepresentation or misrepresentation as to a fundamental matter, nor any other liability which cannot be excluded or limited under applicable law. 15.1 The Content posted on the Site is for information only and is not intended to amount to advice on which reliance should be placed for any use other than the use or the information proposed on the Site. RØDE therefore disclaims all liability and responsibility arising from any reliance placed on the Content for advice by any user of the Site. 16.1 RØDE aims to update the Site regularly, and may change the Content at any time. If the need arises, RØDE may suspend access to the Site, or close it indefinitely. 16.2 Any of the material on the Site may be out of date at any given time, and RØDE is under no obligation to update such material. 19.1 The Content may contain typographical errors or other errors or inaccuracies and may not be complete or current. RØDE therefore reserves the right to correct any errors, inaccuracies or omissions and to change or update the Content at any time without prior notice. RØDE does not, however, guarantee that any errors, inaccuracies or omissions will be corrected. 20.1 The Australian courts will have non-exclusive jurisdiction over any claim arising from, or related to, a visit to our site, although we retain the right to bring proceedings against you for breach of these conditions in your country of residence or any other relevant country.